This course provides some insight and best practices for distribution control room operators. A description of typical duties for a control operator is provided, along with detail regarding record-keeping requirements and the use of SCADA systems to monitor system conditions and status. The most important duty of the control room operator is to ensure the safety of the public and all operating personnel. Another important duty is to restore service to customers after an outage. 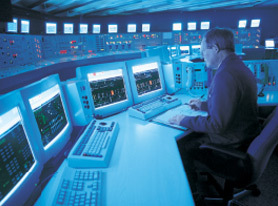 This course details steps to restore service, including developing and communicating switching orders for field personnel, executing remote switching through SCADA, and coordinating with all involved parties. In addition, the development of preplanned switching for scheduled maintenance is also discussed, along with switching to return equipment to service.